Dune Diamond Ring in White Gold is timeless and refined. 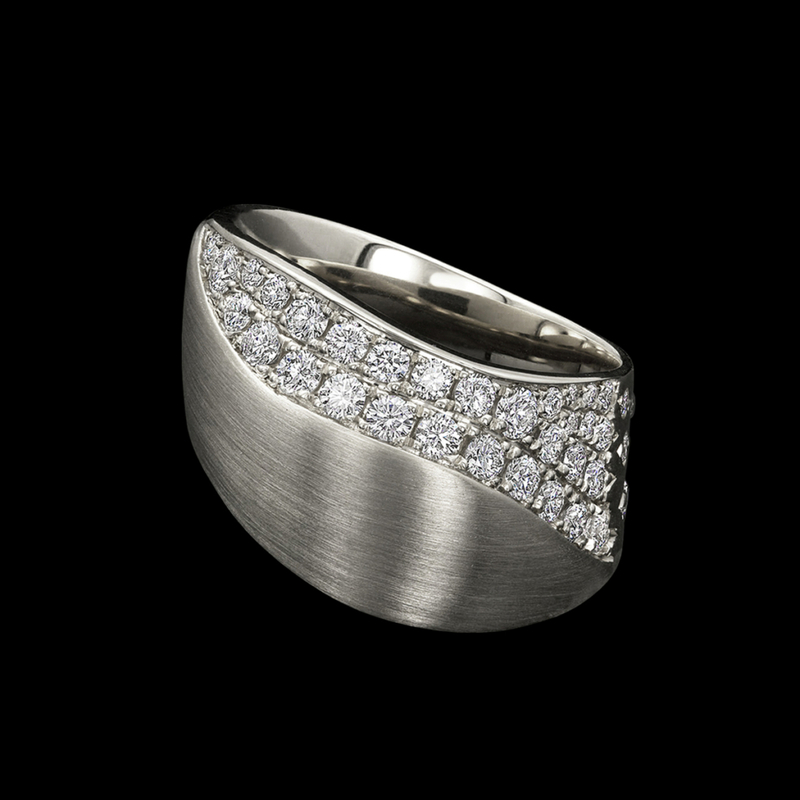 This dazzling ring design features 1.00 carats total weight of white diamond pavé set in brushed 14 karat white gold. Please call (949) 715-0953 to purchase or use the form below for additional information.